Aimed at sustainable industries this outstanding business centre is located at the Dartford Tunnel on the banks of the River Thames. This managed coworking office space is available on flexible terms and is accessible 24-hours a day. Tenants can benefit from the fantastic on-site amenities including the reception, dedicated meeting rooms, shower facilities, kitchen, on-site cafe and bike racks. Pets are allowed at this centre. 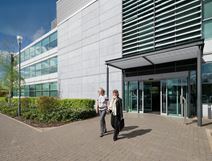 These Dartford science park premises offer fully-furnished, air-conditioned offices and workshop units. There are meeting rooms, exhibition areas, and a restaurant. Situated just off junction 1a of the M25, and on the Fast Track Bus route which serves Dartford rail station and the Bluewater shopping complex. 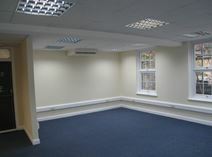 Located a short distance from both the M25 and Dartford mainline station, this impressive property has been completely refurbished to provide serviced offices at competitive prices. Close to many local amenities and easy to reach by road and public transport. Located a short distance from both the M25 and Dartford mainline station, this impressive property has been completely refurbished and provides quality serviced offices at competitive prices. Close to many local amenities and easy to reach by road and public transport. 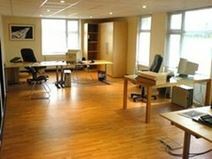 Furnished or unfurnished offices in a range of sizes to let; with round the clock access, meeting rooms, mail and secretarial services available. Located just off the M25, close to the Dartford river crossings. On the Fast Track Bus route which serves Dartford and Ebbsfleet International rail stations and the Bluewater shopping complex. 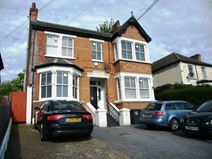 Just away from the centre of Dartford, these offices are located within walking distance of the most famous commercial streets of the town and are close to the main railway station, which offers excellent links to London and other destinations. These offices are provided with all the services and facilities needed to run a successful business: meeting rooms, copy and printing facilities and parking area. Ideal for start-ups and SMEs, this is a clean, modern and flexible solution, which includes office space, studio space and workshops. Dartford is conveniently positioned for access to local and national transport options, with the Railway Station providing a direct link to London. There are various bars and restaurants in Dartford as well as a good supply of other amenities. The centre can be accessed 24-hours a day. Beautifully presented, contemporary designed office space in a business park setting in the Dartford area, not far from the renowned Bluewater shopping centre. The centre has extensive facilities including conference rooms, secretarial support, cutting-edge IT systems and shower rooms, and can be accessed 24-hours a day. Dartford offers places to eat and drink, good transport links and places to stay.